Homemade Breakfast Rolls, just the way they should be! The Homemade Breakfast Rolls are easy to prepare. All it takes is some understanding of how to work the dough. The kneading of the dough is very important. Make sure the dough is moist but not sticky. Breakfast Rolls are called Fruehstuecksbroetchen in Germany. Mix the flour, salt, and yeast in your mixing bowl with a spoon. Warm up the water (lukewarm) and pour it over the flour while mixing. Using your handheld mixer or your stand mixer with the kneading hooks, start on low/medium speed and knead the dough. (For bread/roll dough I prefer a stand mixer). Stop the mixer at regular intervals and scrape any dough stuck on the sides of the bowl, making sure all your dough is combined. Knead the dough until it is smooth and does not stick to the walls of the bowl. This could take several minutes even with a stand mixer. Sprinkle some flour on the bottom of a bowl and place your dough in the bowl. Cover the bowl with a kitchen towel and leave it to rise for about one hour or until the dough has doubled in size. Place a kitchen towel on your working surface and sprinkle some flour on it. Knead your dough again by hand and roll it to cut about 15 pieces each 80 g — 2.82 oz in weight. Roll the pieces between your hands or at the surface to form balls. Knead each of the pieces between your hands forming balls. Place the balls on a floured towel, cover with a second towel and let them rise for about 10-15 minutes. Brush the rolls with some water and sprinkle with poppy seeds or sesame seeds. Place them on a baking sheet covered with baking paper. Allow sufficient space in between each roll. You can use a Kaiser Roll Stamp to cut the rolls on the top. 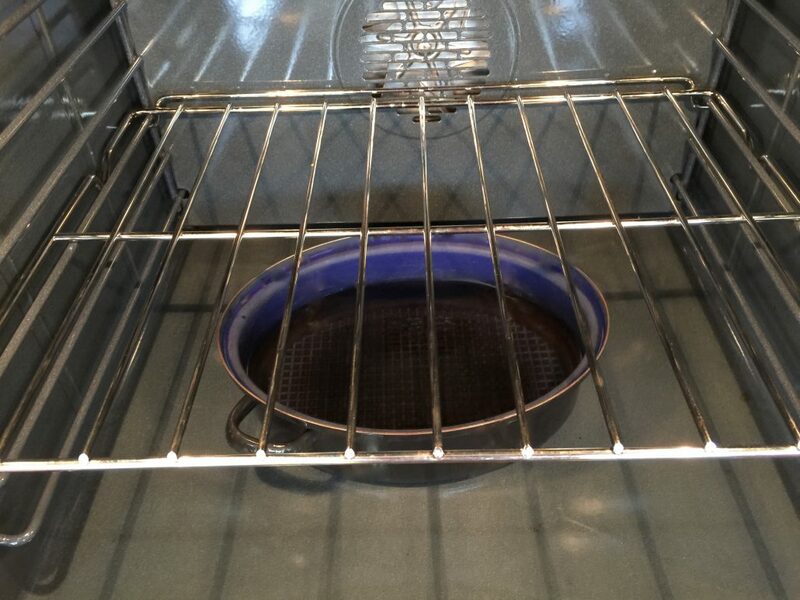 Fill a cast iron saucepan or a heat resistant glass or ceramic casserole form half full with water. Place it on the bottom of your oven. Preheat your oven to 230°C – 450°F. Place the rolls on the middle shelf and bake them for about 15 minutes or until they have browned on top. Turn the heat down to 190°C-375°F. Take the sheet out of the oven to brush the rolls with a little oil or water. Make sure the oil does not run. If you have no toppings on your rolls, sprinkle some flour on the top. Place the sheet back in the oven and continue baking for 10-15 more minutes. Take the rolls out of the oven and place them on a cooling rack. Serving suggestion: Serve the rolls with Oma’s Homemade Quark. To try the Homemade Buttermilk Bread click here, the Homemade Baguette click here, and the Homemade Cornbread click here. https://www.theomaway.com/wp-content/uploads/2017/01/IMG_0733.jpg 630 1500 Oma https://www.theomaway.com/wp-content/uploads/2017/02/Oma-Logo-Authentic-German-Recipes.png Oma2017-01-16 19:19:592018-10-07 07:46:14Homemade Breakfast Rolls, just the way they should be!